On-the-spot control ampoule for areas with blemish developing and dead skin build-up from the house of The Face Shop. This Dr. Belmeur Clarifying Spot Calming Ampoule composed of betaglucan, chaga mushroom extract, blue citrus peel extract. Also contains centella asiatica extract to soothes breakouts and betaine salicylate to prevent a proliferation of dead skin cells. 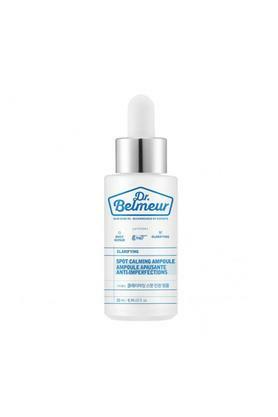 This Dr. Belmeur Clarifying Spot Calming Ampoule is very mild and suitable for sensitive skin.